Welcome! Our newly renovated Holiday Inn Hotel in Dublin, CA is now open and accepting reservations! Imagine a hotel catering to the fast-paced corporate traveler while simultaneously offering the relaxing respite of a traditional family getaway. We are that hotel! We are centrally located to industry titans; Oracle, Chevron, Safeway, Coca Cola and PGE are all located within only a few miles. Our accommodations were built with your comfort and convenience as our number one priority. We are just minutes from the soon to open Dublin BART Station and the Stoneridge Mall. The facilities provide amenities like high speed wireless Internet, a business center with internet browsing, fax, printing and scanning. If on vacation with your family, everyone is sure to enjoy our 100% smoke free atmosphere where Kids Eat Free. The whole family can stay connected with our complimentary Wi-Fi. Host your meeting or event for 30-140 people at our hotel in Livermore, California. Our flexible indoor and outdoor space accommodates a variety of seating arrangements for weddings or corporate events. Each meeting room is equipped with complimentary WiFi and access to a 24-hour business center. Use our Livermore hotel’s features to your advantage. We also provide all-inclusive wedding packages and wedding planning services to help make your gathering successful. Located along the Emeryville Marina, Trader Vic’s serves as your tropical getaway from life’s daily routine. Offering unique private dining spaces, gourmet menus, craft cocktails & tropical decor, we strive to make each event personal and memorable. Our professional staff will handle every detail and cater to all your needs. From wedding receptions to company conferences, let Trader Vic's set the island ambiance for your next event! Our Banquet Sales Manager will work closely with you to create a customized menu, assist in wine and beverage selections, coordinate fresh flower arrangements, and can even help arrange live or recorded entertainment, and audio/visual equipment. Our unique and varied spaces, coupled with Trader Vic’s highly personalized service, creates the perfect setting for your special event. However, if you want to unwind and enjoy the spirit of the islands in your own home or office, Trader Vic’s offers off-site catering. With plenty of options for every type of event, just relax and let the party come to you! Sample menus, pricing, and policies are included on the following pages. Actual menu options may change according to seasonal availability. We look forward to entertaining you here at Trader Vic’s the Home of Original Mai Tai ®! Studio 333 was voted best venue in the bay area to host an event. We are a full service event gallery that has over 4,000 sq. ft. of event space. Gallery rental includes: indoor and outdoor event space, dance floor, pool table, lounge rooms, tables/chairs, bar, coolers, full kitchen, garden courtyard and large monitor with projector. We also offer in house catering, DJ and a professional photographer available at reasonable rates. You are welcome to bring in your own catering, photographer and band. Clients have also hired "Food Trucks" in the past to set up in the garden area. The gallery can seat 130 guests for a sit down dinner and over 200 people for a buffet style dinner or cocktail party. Studio 333 staff members must be hired to work the event as bartenders/clean up crew and on site coordinator. 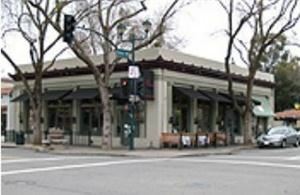 The Clarion Hotel Concord is conveniently located in the heart of San Francisco's East Bay. The hotel features 6 floors with 189 stylishly comfortable guest rooms, 108 single bedded rooms, 90 double bedded rooms and 177 non smoking rooms. Guest room amenities include coffee maker, microwave oven, refrigerator, high speed internet access, wireless data connection, bathtub, hairdryer, phone with voice mail, work desk with lamp, internet browser TV, individually controlled air conditioning, iron and ironing board, and roll away bed. The hotel also offers outdoor pool, fitness center, business center, onsite restaurant and complimentary parking. The hotel also provides 10 newly renovated Meeting Rooms with multimedia capabilities. Our conference rooms and banquet facilities can accommodate up to 150 people. The rooms can also be divided to provide a more intimate setting for smaller gatherings. The Washington Inn Hotel also offers in-house catering with extremely competitive pricing and the tasting food this side of the Bay Area! Small business meetings and private dining rooms are also available.